The $160 Boost Up dock is due in December, unless you're waiting for AirPower. 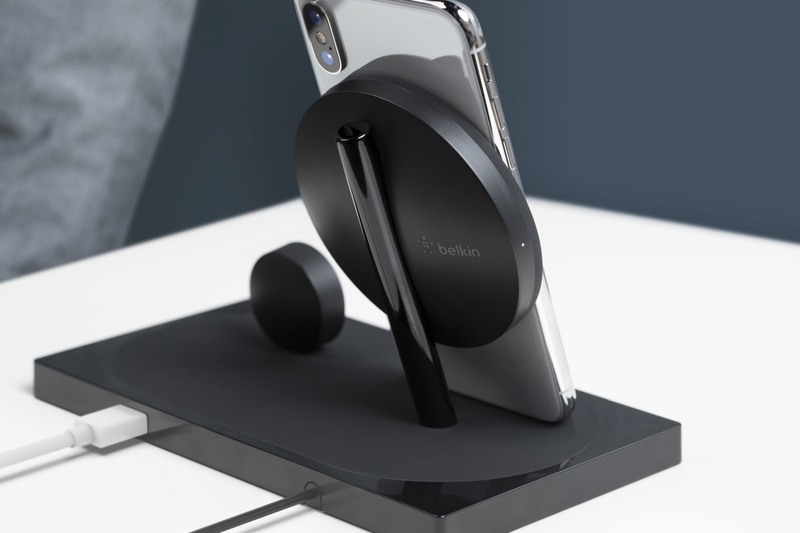 While we wait to see if Apple's AirPower mat will ever make an appearance, owners of new iPhones and Apple Watches who want to charge both at the same time could consider this Belkin dock. 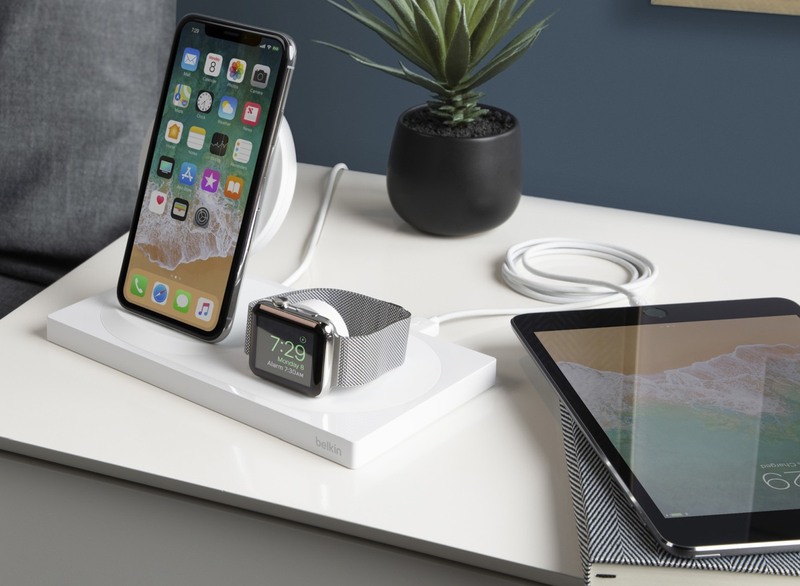 The BOOST↑UP Wireless Charging Dock works with iPhone 8 and newer models (including the just-launched iPhone XS and iPhone XS Max) and all Apple Watches. Besides a relatively clean design, it promises up to 7.5W for Qi-enabled devices (that should work through cases up to 3mm thick), 5W/1A charging for the Apple Watch, and 1A charging via a USB-A port for another device, all plugged into one electrical outlet. It will be on sale in December at the Apple Store for $160, while a cheaper option at $100 is the PowerHouse Charging Dock with charging and connection via a Lightning plug for your iPhone instead of wireless, now updated to fit the new devices. 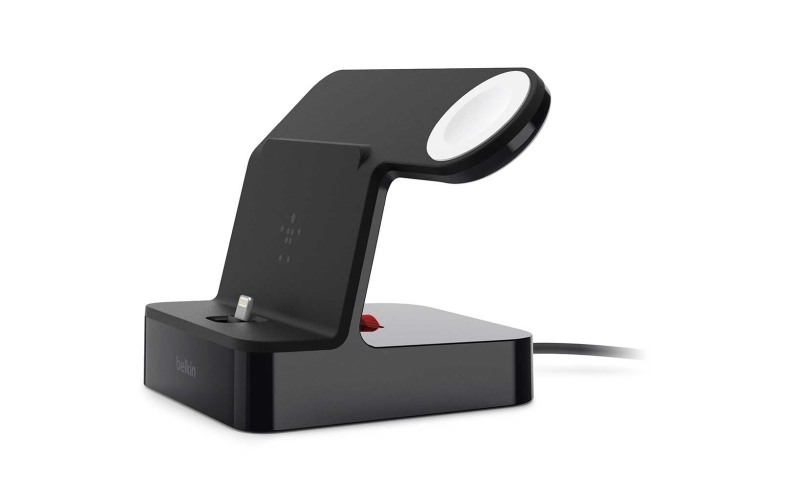 The PowerHouse dock will arrive in November at "select retailers."